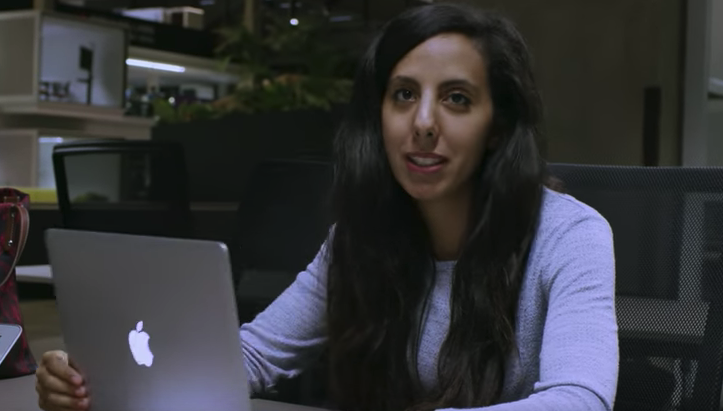 Foundation is an eight-part documentary series about entrepreneurs at Station F–the world’s largest startup campus–and it follows the pitfalls and triumphs they experience while establishing their businesses. What makes each of the featured entrepreneurs “different” begins to reveal itself in this first episode, which introduces the teams in interspersing clips. Boldness characterizes each of them; inventiveness, too. Each of the four teams are at different stages of their business development, but a thread that unites them is the drive to continually improve: “The beauty of what we do is knowing one day we can do even better, even bigger,” says Anteunis. One scene shows Justin Swenson and Julian Holtzman of Torq Labs pursuing funding from an investor, anxious to convey the benefits of their product; another zooms in on a nervous Holtzman rehearsing his pitch ad nauseum, perfecting his intonation and delivery before taking the stage at a pitch session event. Watching Ksibi present her plans to the women of Meet My Mama, it’s hard not to feel inspired by her; she is giving purpose and agency to a marginalized group by pairing their skillset with an actionable business model. She speaks with a palpable resolve to succeed, both for her own sake and to do right by the women she employs. Recast.AI, the third of the documentary’s startups, was founded by Anteunis with the goal of building AI for speech analysis. The product goes beyond speech-to-text transcription to also inspect data about the speaker’s emotions, keywords, and intent. When the documentary first presents Anteunis, she’s watching 2001: A Space Odyssey, in which HAL, a sentient computer, becomes the main antagonist. This clip is followed by a question from an event moderator asking Anteunis why people fear AI. She responds with a smile, acknowledging public reluctance to embrace AI, attributing it to the dominant way it’s portrayed in popular culture and prescribing a solution: improved education as to how AI actually works. The whole sequence is a reminder of the preconceptions AI developers must address about their technology when speaking to investors and consumers. The first episode wraps up by foreshadowing the challenges, failures, and successes to come. Etienne Porche, the founder of Les Sherpas, delivers a rapid-fire list of all the reasons startups fail, from a lack of demand for the product to a poorly-functioning team. Porche seems unfazed, though, and is even willing to sideline some of the work from his university courses so he can focus on building his company. Watch the first episode on Foundation’s website or YouTube channel. This Review was first published by All Turtles on April 6, 2018. Marie McCoy-Thompson is an Editorial & Content Strategist at All Turtles.